POCit-ing your money safely from your mobile. Knowing your market and the audience are just the first steps in making your online or digital business successful. The other important step is keeping your audience and one of the factors that influences audience “stickiness” is safety. 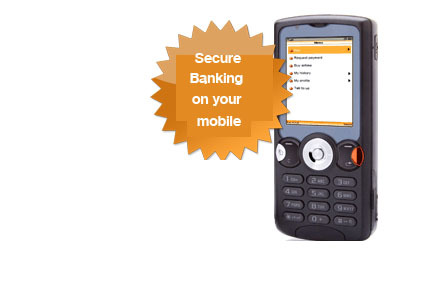 I will be using the mobile banking POCit as an example of using safety as a means to keeping your audience. I love payday, but hate queues so of course I would prefer internet or cellphone banking. I became suspicious of internet banking after watching a television programme where the IT (Information and Technology) MR Fix it guy gets hold of the banking details of this small business and takes their money. Another blogger mentioned that her cellphone has been stolen on countless occasions and she was a bit hesitant to use cellphone banking afterwards because of the safety issue. So I was pleased to hear that numerous companies were trying to appeal to an audience and guaranteeing safety. There have been various new online and mobile banking solutions that have arisen, such as WiWallet, Wizzit, Fundamo, Swap Wallet and POCit, that assure their users or customers of safety. I decided to look into POCit in order to see how they are safer than banking online with my bank. Firstly, POCit allows credit or cheque card holders to make and receive payments securely using your cellphone. Payments are made using only the other person’s cell number so you no longer need to expose your banking details. Each payment cost 30c (South African) each. POCit is independent of any bank and cellular network which allows people, particularly those who use various banks, to alternate between the banks and payment options they use. Accoring to POCit MD, David Reynders POCit aims to make mobile banking convenience, secure and simply as all accounts will be on one device such as your cellphone. For me, the safety aspect was important. Vodacom reported that not a single cellphone payment system has been hacked into globally, bearing in mind that POCit is a relatively new banking system. So far my mind is at ease with these statements, but I cannot prove or disapprove that they are correct and that they are or are not failsafe. What I am pointing out after my rant, is that they are able to put there customers mind at ease. I would not use a service if I did not the terms of service, conditions and security aspects. Tip: If safety is important to your customers, make your product safe and continually assure them that it is safe. Doing my banking on my cellphone the other day I noticed an option to buy MXit Moola. MXit is very popular amongst my friends and dare I say myself as well. This made me think of what was its greatest attraction was, and of course, what brings in their money. For those of you who are wondering what MXit is, it is an instant messaging service that allows you to send text messages at a fraction of the price of an SMS. MXit allows you to join chatrooms, download clips and customise your cell phone by using mobile data networks. Moola, which is MXit’s version of virtual reality money, is used to buy skinz, wallpapers, MXit music, tunes and other interesting items used to personalise and enjoy your MXit experience. During graduation I met a former student who is designs skinz, or something like that, for MXit. It then became pretty real to me that there are real people behind MXit, and they have to make money. Even though I adore the fact that I can send about a million messages and chat to my friends for about a cent a time, MXit creators and workers have to generate an income in some way and make this a lucrative type business (though they might not want to describe it that way). Moola, I guess, would then be their solution to this. Instead of blatantly charging tweens and the like for sending their messages, they have found some other appealing way to draw in their income. Their market, which starts anywhere from about 12 years old to about 25, have their interests in personalising their phones and getting the latest. MXit’s answer to this was the invention and creation of these skinz, wallpapers and music downloads. Their products or content has the ability to be upgraded or refreshed as there are always new music, songs and wallpapers and other related items. MXit’s market is about the latest items and they are always craving for new things to be downloaded, I would know as I think I fall into that category. As a result MXit will keep its audience coming back for more downloads for quite some time and even gain an audience when the next generation wants things that are fresh, new and showcase popular culture. However the question in my mind is why Moola? Firstly Moola personalises Mxit money, it also makes Moola (even though its uniquely South African name) more universal. People can buy Moola using whichever currency their country uses, for example New Zealand dollars, instead of trying to convert and adjust currencies to suit their own. Another great thing about Moola is the exchange rate, funny as it sounds as 100 Moola trades at R1 (South Africa). So, when you use your meagre R1 you seem to be pretty rich on MXit with your 100 Moola in MXit and tweens terms. This works in terms of them making money selling virtual content and keeping their audience entertained when they buy the content. Secondly, Moola adds up. Each song might only be 500 Moola, but once you have purchased 20 songs, it has equalled 10000 Moola or R100 and that idea pays. Lastly, Moola sounds way cooler and buys into the colloquial language of the youth of South Africa. I would want to buy something that sounds cool. They have found a niche in the market and have used it. This comes with knowing their market and supplying it. Tip: Knowing your market or target audience and buying into the niche and even the language. *Note: According to MXit , they do not give interviews in order to keep up their underground appeal. This post was the assumption of the author, who used MXit as a case study. No statistics were used either in order to ensure that there was no misuse of information or incorrect statistics. (14 May 2009).